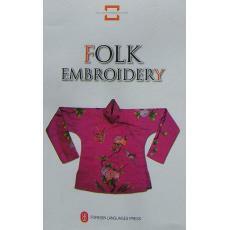 Chinese folk embroidery is type of arts and crafts for both esthetic appreciation and practical use. The embroidered works have high decorative value, often with exquisite designs, and represent Chinese folk culture and traditional spirits. This book collects over 200 illustrations in 39 categories of folk embroidered works by the Han, Miao, Tujia, Dong, Tibetan, Dai and Manchu peoples. The accompanying detailed introductions will allow readers to truly appreciate the magnificence of folk embroideries.